Not to worry, Belltech has you covered with its line of Front End alignment kits and Driveline Alignment Kits & Pinion shims. When you purchase a complete Belltech lowering kit, we go further than any other manufacturer and include EVERYTHING you need to ensure that all alignment and geometry are within factory tolerances. The next time you compare a Belltech Complete Kit to Brand X, make sure you are comparing Apples to Apples, and not lemons. Belltech alignment kits provide you the solution for all of your alignment needs. 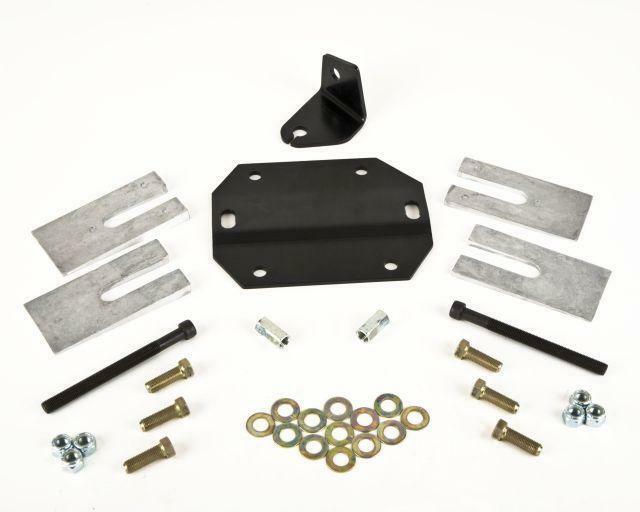 A typical Belltech front end alignment kit will consist of new “cam” eccentrics for the upper control arms which provide increased range of adjustment (typically up to 2 degrees) above and beyond what is offered from the factory. Engineered Application-specific aluminum spacers allow for angle correction of the driveshaft. Adjustable bracketry that allows for fine tuning of the carrier bearing position to your vehicles specific needs. Belltech Driveline Alignment Kits can help make your driveline problems are a thing of the past.